The olive tree (Olea europaea L.) is one of the most ancient cultivated trees in the world and has a special place in Crete, as it played a central role in the everyday life of its inhabitants for more than 3,500 years. 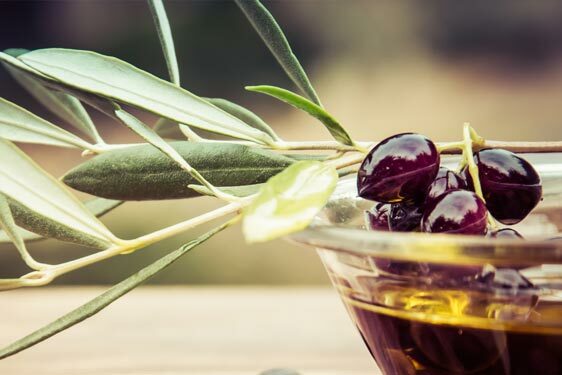 Olive oil has always been an integral part of Cretan life and the main agricultural product of the island. Important archaeological findings in the palace of Kato Zakros suggest that olive trees have been systematically cultivated in Crete since Minoan times. P.D.O. table olives «Throumba Abadias of Rethymno Crete» belong to the throuba variety grown in the eastern region of the former province of Amari, Rethymnon. The cylindrical fruit loses its bitter taste before harvest, acquiring a pleasant, sweetish flavour without any processing. The climate and geomorphology of the island create a harmonious environment, ideal for the production of excellent quality olive oil, low in acidity, with particular organoleptic characteristics and high nutritional value. Crete is responsible for 1/3 of the total domestic olive oil production, with about 35 million trees covering 65% of its agricultural area. The majority of the production (90%) belongs to the category “extra virgin olive oil” from the Koroneiki and Tsounati olive varieties.